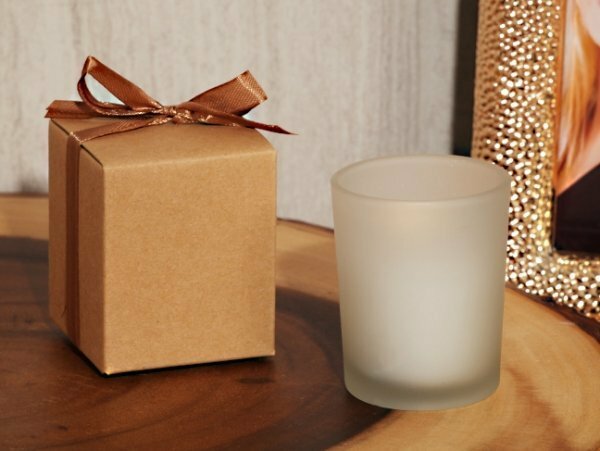 These DIY candle make great and practical event favors. 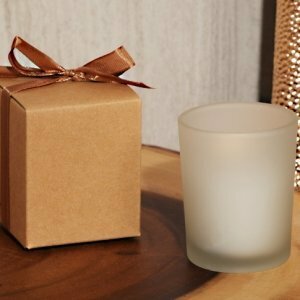 Add your own embellishments such as a personalized sticker and our Frosted Glass Candle favors will be a hit with your guests. They make perfect favors for Weddings, Bridal and Baby showers, Christening, Sweet sixteen, or any special event. Gift box is finished with a copper ribbon bow.